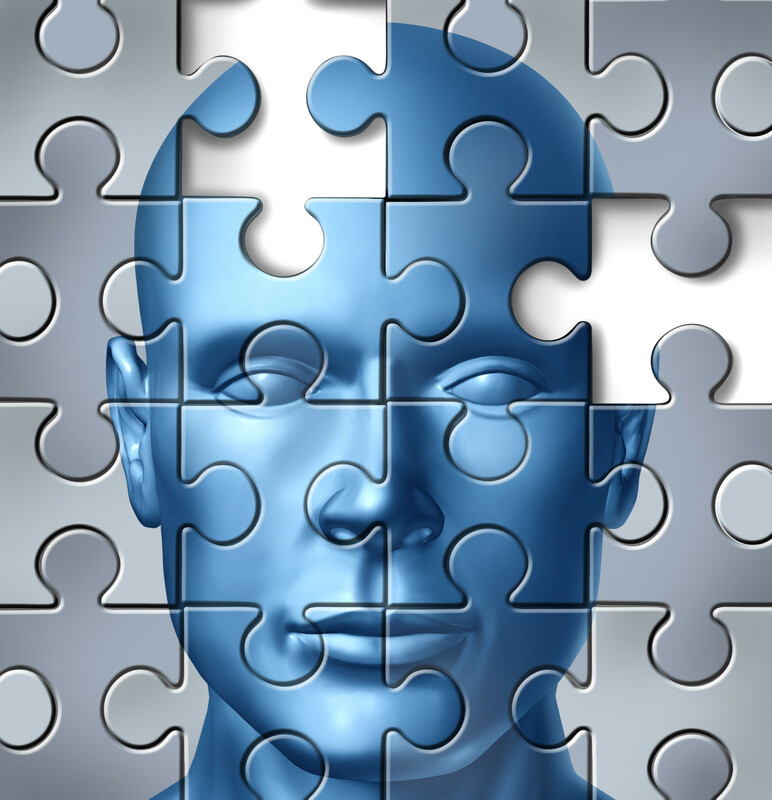 Did Anyone Happen To Notice Where I Set My Brain Down? I never had a great memory to begin with. For years, I relied on my sister and mother to fill in significant gaps in my childhood memories, and my sister continues to be a great help with this. I apparently lived a vibrant and active life as a youngster, and I do remember significant portions of it, but other parts are long gone and have been for some time. 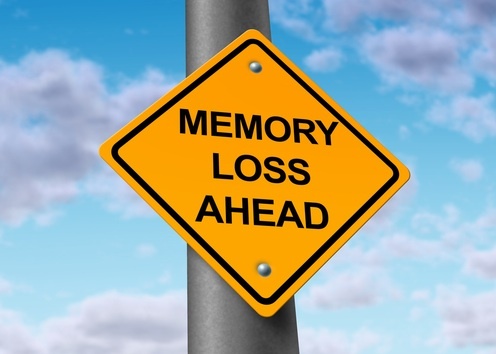 As I age (62 currently), I have become more and more aware of lapses in memory mostly because it is awfully inconvenient at times and also because my family tree is pretty heavily infested with dementia, and I sometimes get concerned as I feel the memories drift away. So when something slips my mind, I don’t feel so bad anymore. In fact, I’ve come to sort of enjoy my coping mechanisms. I almost always remember to put my keys and wallet in the same place every night before I go to bed. For the first time in my adult life, I not only write things down on my calendar, but actually check it regularly. I often post a big note on the bookcase that is directly across from my bed with a list of any appointments or things I need to get done the next day so I see it first thing in the morning. 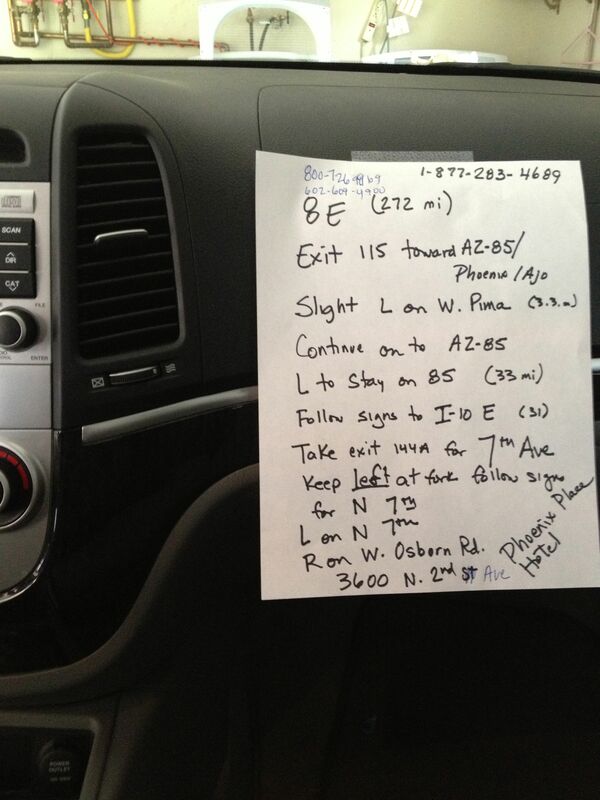 Since my car lacks GPS, I use directions like those below to get me on my way. However, some of the slips can be maddening. I cannot count the number of times I have marched into my garage, straight from another room of the house, and stood peering about in the heat absolutely knowing that it contains an object that 10 seconds ago I had a critical need of. I will stubbornly stand there for minutes at a time searching the room for… what? No clue. The only solution is slink back to my previous location where somehow, magically, my memory snaps back and I know exactly what tool, hardware, or device it was I needed. I have become almost used to the fact that when introduced to someone new, my brain will vaporize that person’s name within 3 seconds of the introduction. Even when I make a conscious effort, preparing myself to remember a new person’s name, something erases it upon arrival. I’ve become so resigned to this that I am less and less bashful about breaking in with, “I’m sorry, and you said your name was…. ?” I take some comfort in the number of times they too have had to ask me my name. Maybe we are simply so overstimulated by the barrage of information that we have to process that our brains just can’t keep up. I tell myself that often because I often forget what I’ve already told myself. I have, however, become convinced that I do have one particular memory disorder so unique that I have named it—displacia. It is a condition that causes me, most frequently in the kitchen, to search for a needed object in the cupboard or drawer exactly one cupboard or drawer over where the object lives. If I need some Comet to clean the sink, I will find myself staring dumbly at baked and canned goods wondering what in the hell I am looking for, knowing I have no interest in baking or cooking. But if I should need some corn meal, my first stop will likely be next door where we keep all of the cleaning supplies, again staring, stumped and confused. So I now look at memory as a sort of game, even as a battlefield, where I know I have to use my wits to keep my life in order and to fill it with moments that are landmarks I simply must not lose. I do not want to become an unmoored boat that simply slips away from the dock, having forgotten to load up with memories that make me who I am.